Formal, elegant, and prestigious in color, Treasured Memories® Black Rhodium plated .925 Sterling Silver Cross Pendant is a remind of empowering faith in times where beliefs force us to embrace the unknown. 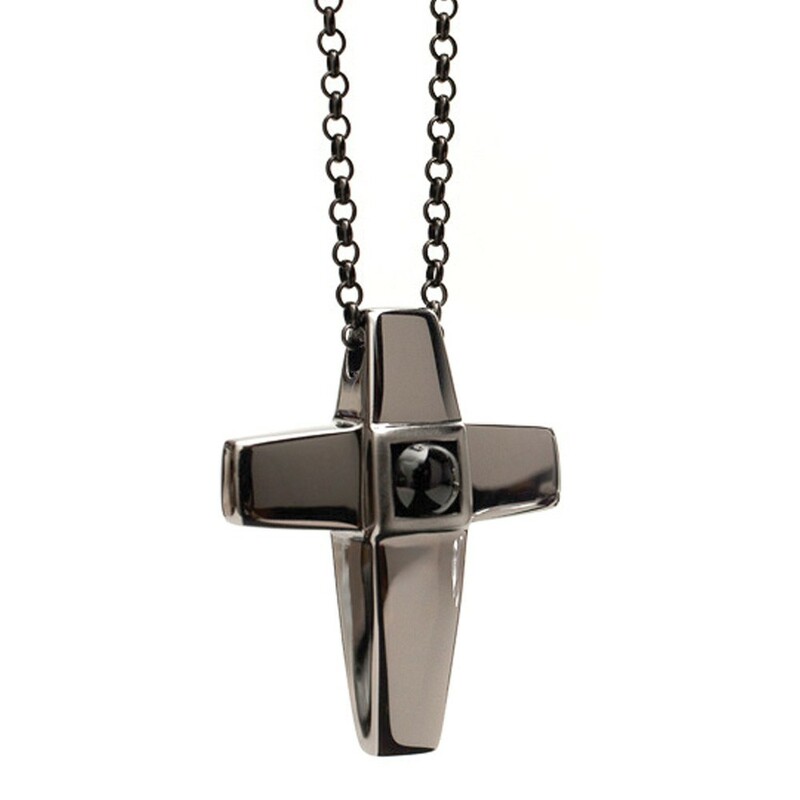 With stunning high polish Sterling Silver contemporary lines, the renowned cultural symbol of the Cross Pendant is made even more spectacular with Black Rhodium and the most popular Christian Gemstone: Black Onyx. Meant to be worn as a reminder of faith, love and spiritual devotion, the Black Rhodium Cross Pendant is a classic token of spirituality. 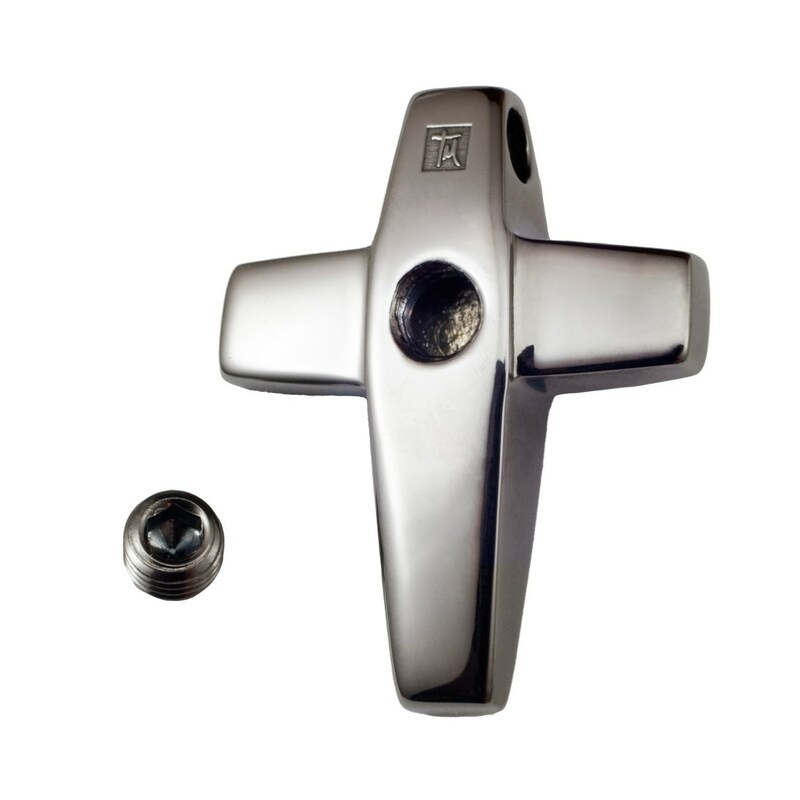 This Cremation Cross Pendant can be customized with engraved name, dates, initials or heartfelt message for a loved one with up to 30 characters (including spaces) in one of our most popular font styles: Block, Script, and Traditional. Before we begin the engraving process, a proof will be sent to you for your approval. After engraving, each piece of jewelry is given an additional layer of pure silver to create the most beautiful & tarnish resistant finish possible.